More than 60 oil companies are set to bid on exploration permits offshore Brazil, taking on risks of drilling in virgin waters after similar geology across the Atlantic in Ghana and Ivory Coast yielded major discoveries. Contestants in Brazil’s first oil auction in five years range from Exxon Mobil Corp. (XOM) and Chevron Corp., the largest U.S. producers by market value, to China’s Cnooc Ltd. and Brazilian start-up Ouro Preto Oleo & Gas, a government registry shows. They’re betting that deep-water deposits off the northern coast hold reserves like those found thousands of miles across the ocean in Africa’s Gulf of Guinea. 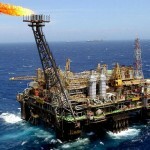 The two-day, $5 billion sale by the oil regulator ANP starts today in Rio de Janeiro. Interest in bidding for 289 blocks spread over 11 basins will be focused on the mainly untapped offshore Foz do Amazonas basin near neighboring French Guiana, according to consulting firm Wood Mackenzie Ltd. The area, mostly unexplored except for efforts by BP Plc, Tullow Oil Plc and Exxon, shares a geological heritage with the African land mass that separated from Brazil millions of years ago and has produced oil since 2007 from geology that dates to the Cretaceous period. “There’s a bit of a herd mentality,” Ruaraidh Montgomery, an analyst at Wood Mackenzie, said in an interview by phone from Houston. “The big focus for most companies that will take part are those basins off the north coast of the country in what’s known as the Equatorial Margin” near the Guiana border. Brazil held its last oil block auction in 2008, a year after discovering the so-called pre-salt reserves, which hold at least 50 billion barrels of oil and are the biggest discovery in the world this century. After oil was struck in basins created before the salt formations started to take shape about 120 million years ago, developers including Statoil ASA (STL) are exploring Africa’s pre-salt basins. Tullow sparked interest in both the African Gulf of Guinea in 2007 and off French Guiana in 2011 with its discovery in Ghana Jupiter discovery in Ghana and the Zaedyus find in the South American country. While London-based Tullow won’t participate in the round, two of its partners at Zaedyus will — Total SA and Royal Dutch Shell Plc. Kosmos Energy Ltd., a partner at the Jubilee field in Ghana, is registered to participate in Brazil’s auction. Cnooc Ltd. and Sinochem Group are the two Chinese companies registered to compete, while China Petroleum & Chemical Corp (600028), or Sinopec, will compete through the Brazilian venture it has with Repsol SA of Spain. The U.K.’s Premier Oil Plc. and the U.S.’s Hess Corp. are two of the companies with activities offshore Africa that are registered. Brazilian competitors include HRT Participacoes em Petroleo SA and OGX Petroleo & Gas Participacoes SA. Petrochina Co., the second most valuable oil company, isn’t registered to compete. Exxon doesn’t comment on bidding rounds before the government publishes the results, Patrick McGinn, a spokesman for Exxon, said in an e-mail when asked about similarities between the geologies. BP spokesman David Nicholas declined to comment. Spokespeople for Chevron Corp. (CVX) and Ouro Preto didn’t respond to e-mails seeking comment. Brazil’s delay to hold an auction is linked to the government’s revision of oil royalty legislation that followed the pre-salt discovery, according to political consulting firm Eurasia Group. After several years of discussions, a new law was approved in March and suspended a week later by the Supreme Court after the Rio de Janeiro government filed an injunction. Joao Castro Neves, an analyst at Eurasia, said in a phone interview from Washington that several factors sped up Brazil’s decision to hold a second auction, including competition. The lack of oil auctions hasn’t deterred BP from seeking a head-start in exploring off Brazil’s northern coast near the French Guiana border. 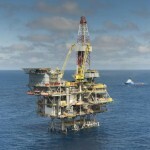 The London-based oil explorer acquired three blocks last year from Petroleo Brasileiro SA, or Petrobas, in the area. “This play is very extensive and expands into the Guiana Basin,” Wood Mackenzie’s Montgomery said. State-controlled Petrobras has said it will be “selective” in its participation in the round as it seeks to conserve cash while working on more than doubling production by 2020 with the development of the pre-salt.